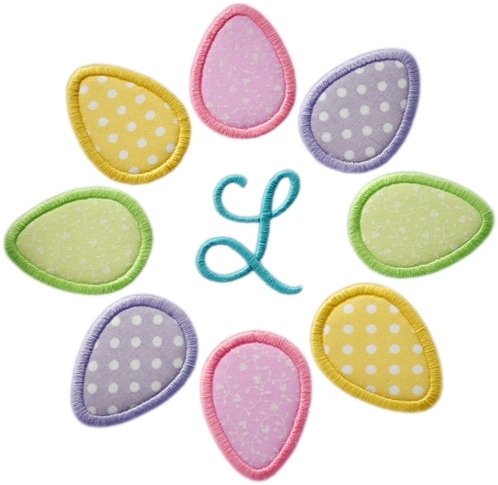 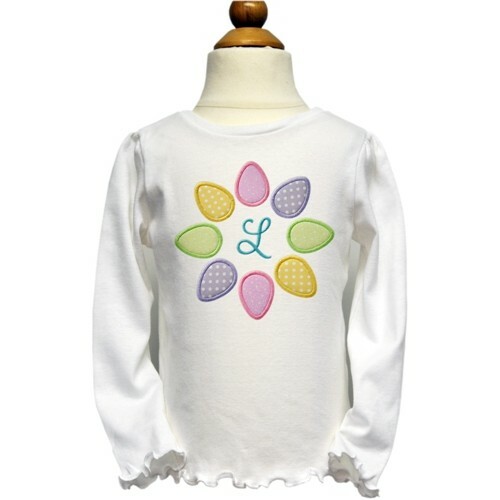 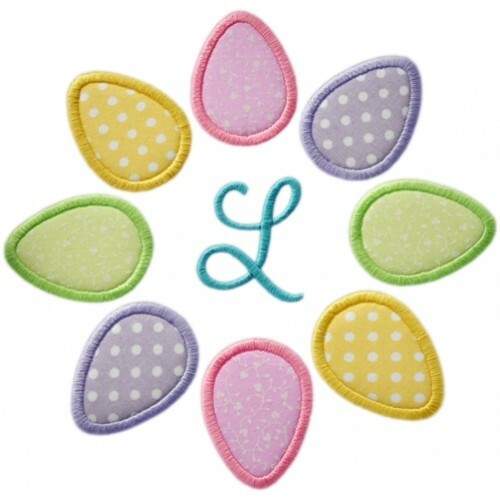 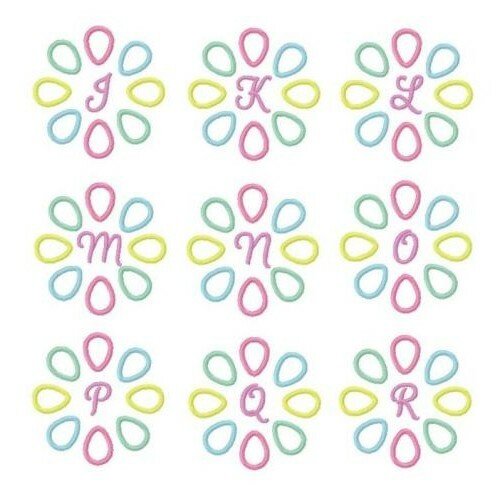 I love this fun colorful monogram for Easter stitching! 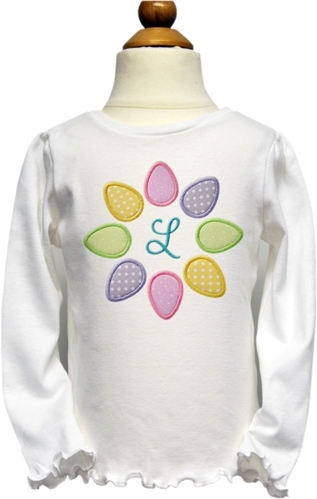 Here's a close up so you can see how nice it stitches. 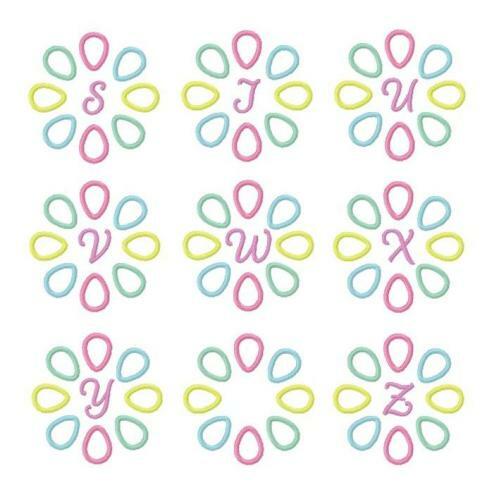 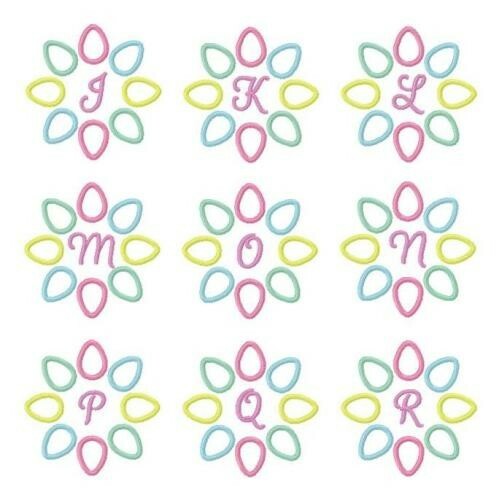 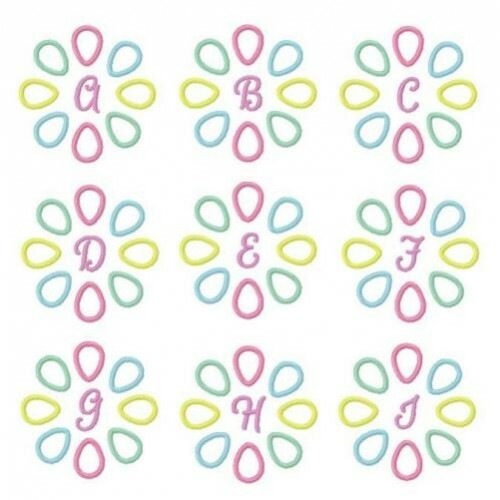 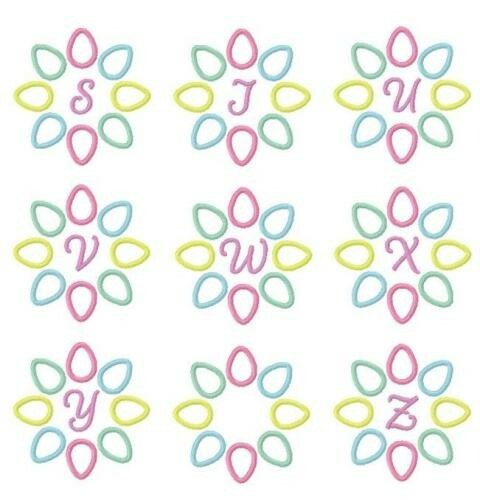 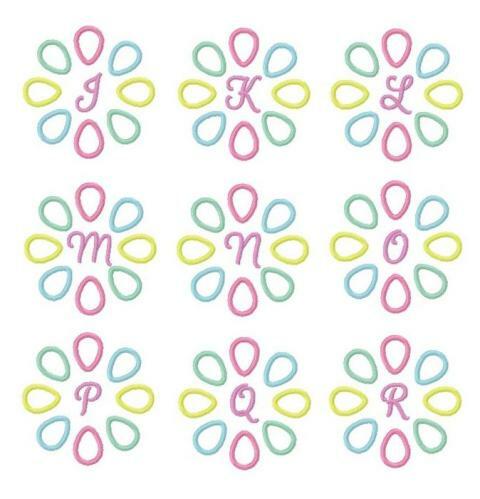 This monogram would be perfect for burps, clothing, towels for bath or kitchen and even totes. 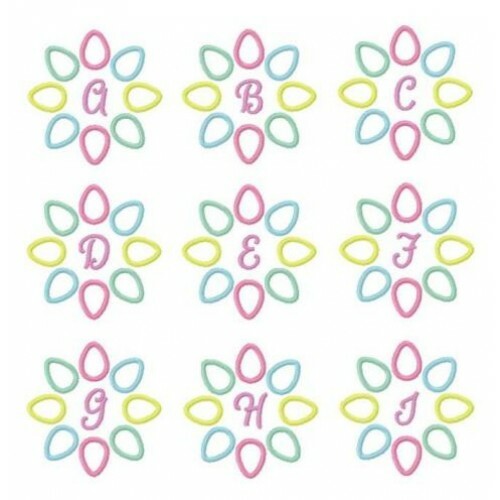 All letters are embedded into the files, just pick your letter, load design and stitch. 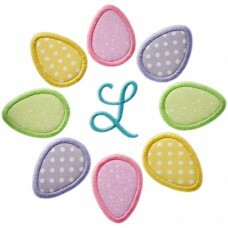 The design features two orientations of the eggs, outward like shown in these samples, plus a version with the eggs pointing inward - You receive a total of 4 sizes for each orientation of the eggs, plus you receive a blank version of each so you can add your own monogram if you want. 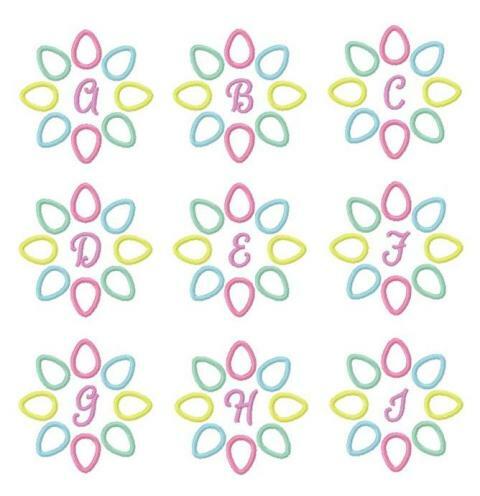 Here's what all the designs look like with the eggs pointing inward and letters embedded into the files, plus a blank.